Alexander Weine & Destillate is a Swiss importer and merchant of wine and spirits, founded in October 1989. The company moved in early 2005 to its current location, a spacious store with over 1,000 products and a huge warehouse near Aargau, which allows the owners to run an online shop. The original wine-only range was extended with whisky in late 1999 and showed great success, which led the company to purchase a couple of not-yet-whisky casks from Bruichladdich in 2006. The first barrel was bottled in 2011 and was called SwissLink 1. The next independent bottling, named SwissLink 2, was offered in 2013. The strong demand for its own label bottlings led the company to bottle SwissLink 3-6 within a short timeframe, with whiskies from Caperdonich, Clynelish, Longmorn and Bowmore. Its last offering was bottled in 2014: SwissLink 8, which was another of its original Bruichladdich barrels, this time a Port Charlotte. Although there are plans to revive the series, the retailer claims it will depend on the availability of high quality barrels in the future. The company, originally named Weine Polasek-Ganzoni & Co., began as a wine merchant. 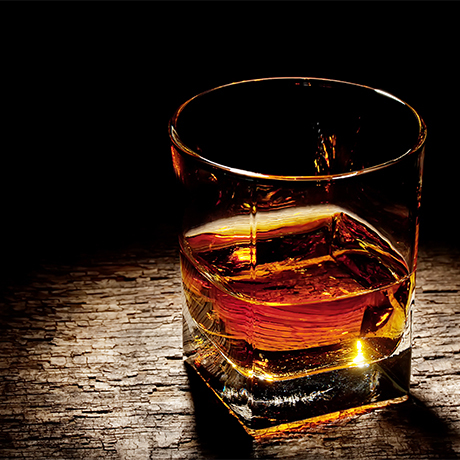 After a change of Swiss customs legislation and liberalisation of the distilled spirits business in 1999, the company opened up its portfolio and developed a growing whisky and, later, other spirits selection. At that time the company had been renamed VENI VINO VICI and had transformed into a full-time business for owners Alex Polasek and his wife Dorothea Polasek-Ganzoni. The shop was again renamed to its current title after the company moved to larger premises in 2005. Alexander Weine & Destillate is still family-owned and – together with three employees – a valued partner of connoisseurs, restaurant- and pub-owners, as well as wine and spirits merchants all over Switzerland.